STANDS ALONE MAYS!!! The Venezuelan Topps Baseball card series are among the more scarce in the hobby. 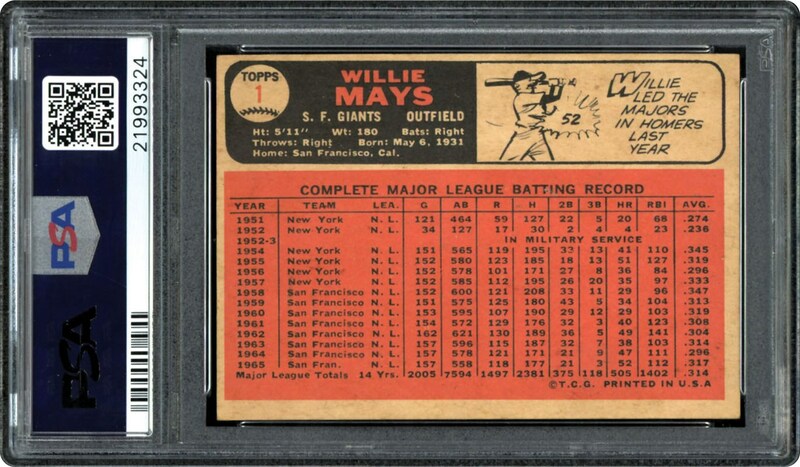 In 1966, Topps reprinted the first 370 cards for the Venezuelan market. Identified by the card backs, usually much darker, the Venezuelan cards are very scarce and difficult to find, and are extremely condition sensitive. 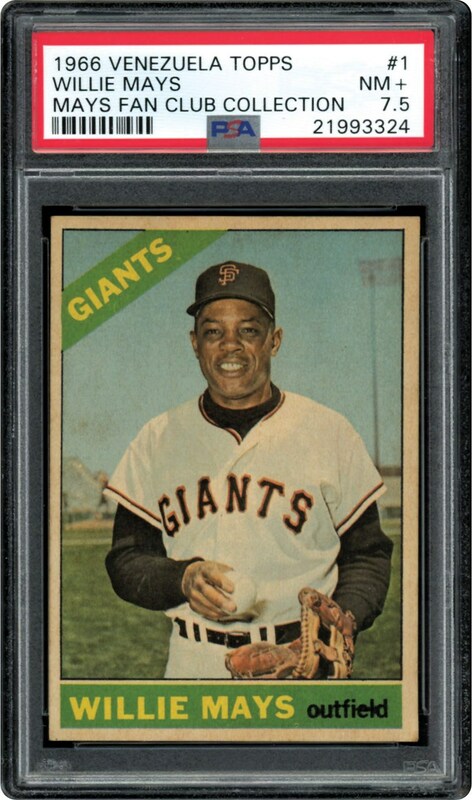 The offered example of Willie Mays from 1966 is the one and only PSA 7.5 example in the hobby with nothing grading higher.